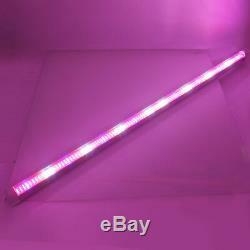 Led Grow Light Tube Strip. Illuminate Area: 0.5-6 square metre. Safety standard: CE and RoHS. Indoor garden, pot plants, garden, seeding, breeding, farmland, spray plant, greenhouse plants, pipeline cultivation, flowering, etc. Fruiting Stage: 7- 8 hrs. Suggest distance above plants: 4-7ft (1.2-2m). The IR (Infra Red) diodes looks dim, this is normal. In case of dazzling, Don't look at the led source by directly without Protective glasses. Some of the LEDs stay on dim when light shuts off because different colors led with different voltage. Please read full description and pay attention to real power consumption. Which plants can you grow with our LED Grow lamps? Ideal for all phases of plant growth and soil culture. Can be used in home garden, pot culture, garden, sowing, breeding, farm, flower exhibition, bonsai, garden, greenhouse, sowing, breeding, farm, greenhouse cultivation, pipeline cultivation and so on. All sorts of greens: herbs and leafy vegetables, lettuce, Bok Choy ect. Also suitable for indoor garden or indoor pot-country. 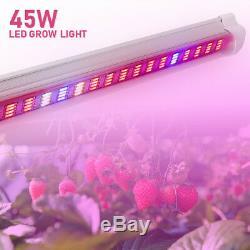 (Most of our clients grow medicinal plants, tomatoes or salad ect, they have very good results with our LED grow lights). If an LED is defective, does this affect the function of other LEDs? Other LEDs will not be affected, the others will still work. 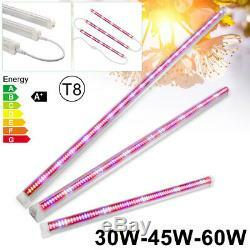 Our design is that every LED has a protection diode, it is very safe. 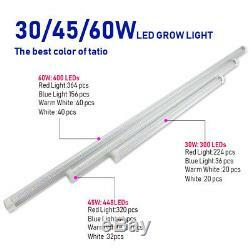 What about the performance of LED Grow Light compared to HID / HPS lighting? Follow the guidelines for the recommended coverage area, and your LEDs will impress you with their yield. Compared to HPS / MH lamps, LEDs significantly reduce heat loss and significantly reduce the risk of fire, especially in confined areas. Our LEDs mainly grow red and blue spectrum, these two spectra are the culmination of plant absorption. Does this light give off a lot of heat? LEDs are the most efficient lights today. They produce so little heat that you can actually let the plant touch the light (though this is not recommended - since it reduces the size of your growing area). The heat generated by the unit is absorbed by the heat sink and dissipated by the fans on the back of the lamp. How does the specific wavelength work? Blue(wavelength: 400nm 520nm): Help plants grow. Red(wavelength: 610nm 720nm): Help plants sprout and flowering , and is the key for flowering plants. IR(wavelength: 730nm): IR can help plants grow better. UV(wavelength: 380nm): UV can help plants grow and kill insects. White, Warm: help complete the bands. We believe that customer service is our most importantproduct, and consistently try to exceed clients' expectations. Weunderstand the needs of market and are always in a position to provide buyerswith the latest products for their different regions. Product quality standards are guaranteed. We can provide CE&Rohs certified as you want. They all produced with best raw andprocessed materials and advanced technology. Every product must pass strictquality inspection before sales, including shock-proof test, burning testing, battery test and so on. So we can supply our client the low sourcing cost with high quality. Please list your special requests color, packages, etc. The images shown are not the actual item and are for your reference only. SERVICE TRANSIT TIME is provided by the carrier and excludes weekends and holidays. Transit times may vary, particularly during the holiday season. Most Europe Countries, Japan, AU, UK, DE. Russia, Israel, Ukraine Brazil and so on. We will try our best to resolve any problems to your complete satisfaction. If item is defective after 3 months, you can still send it back to us. We will send you a new one after receiving the defective item. Hours of Operation - We are open. 8PCS Garden Solar Powered LED Candle Lantern Hanging Light Outdoor Coach Lamp. 3W 5W 10W E27 LED RGB Light Bulb 16 Color Changing Magic Lamp + Remote Control. 4PCS 500W Full Spectrum COB LED Grow Light Panel Indoor Hydroponics Plants Lamp. E26 E27 LED Grow Light Full Specturm Greenhouse Indoor Plant Flowering Growing. 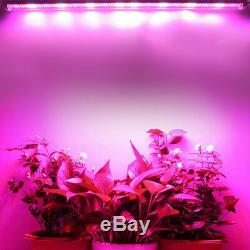 36W Plant Grow Lights Full Spectrum for Indoor Hydroponic Greenhouse Veg Flower. Hot 18W E27 E14 GU10 LED Plant Grow Light Greenhouse Garden Growth Lamp Blooming. 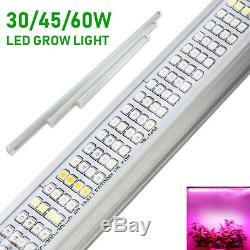 2.5M 5pcs 5050SMD LED Grow Light Bar Strip Lamp For Plant Greenhouse Hydroponics. 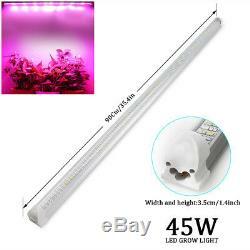 Full Spectrum Led Grow Light Bulbs E40 LED Plant Growing Lights Lamp for Plants. Dimmable 2000LEds LED Grow Light Full Spectrum for Indoor Plants Veg Bloom. 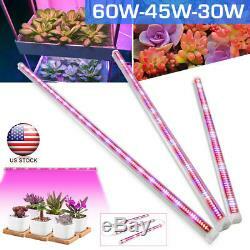 18W 20W 30W 45W 65W 120W 200W 800W LED Grow Lights For Plant Veg Flower Herbs. 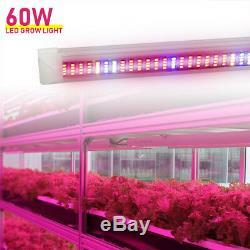 2PCS 120W LED Grow Light Panel Red Blue for Indoor Plant Hydroponic Greenhouse. 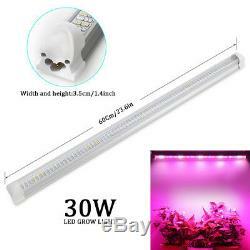 300W Full Spectrum LED Grow Light Lamp for Indoor Medical Plant Veg Flowering US. 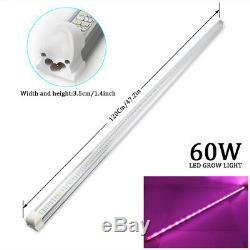 The item "30W 45W 60W LED Grow Light Tube Full Spectrum T8 Lamp Strip for Indoor Plant Veg" is in sale since Friday, December 28, 2018. This item is in the category "Home & Garden\Yard, Garden & Outdoor Living\Gardening Supplies\Hydroponics & Seed Starting\Grow Light Kits". The seller is "luozheng2012" and is located in Rowland Heights, California. This item can be shipped to United States.